Celebrate summer with “LONDON’S MOST JOYOUS MUSICAL” (Playbill) with a free upgrade offer, saving you up to 40% on top price tickets to the West End’s record-breaking hit musical. Tickets from £72.00, usually £125/£100. Valid on Premium 1 and 2 ticket types. Must book by Friday 21 July. Valid on all performances until Saturday 12 August 2017. Please use Promo Code: EXCLUSIVE in the checkout basket once you have selected your tickets. Terms and Conditions: Offer valid for Premium 1 and 2 ticket types as per offer details and for all performances until 12 August, strictly subject to availability. Offer price is £72 / £75 depending on performance. Must be booked by Friday 21 July. Offer cannot be used in conjunction with any other offer or on tickets already purchased. All tickets are subject to an additional booking fee. 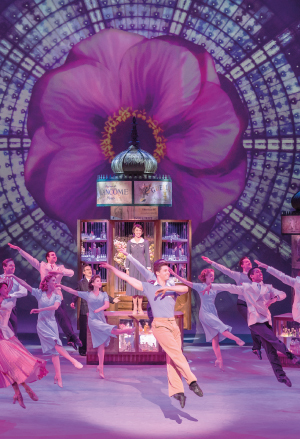 An American in Paris is recommended for ages 7+. Please note that all persons entering the theatre, regardless of age, must have a ticket. Children under 3 years of age will not be admitted.